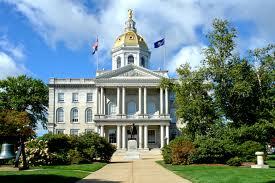 CONCORD, NH – The New Hampshire Senate has voted to override Governor Chris Sununu’s vetoes of two energy bills. SB 365 and SB446 were vetoed by the Governor in June, with the governor citing that the two bills would put too much of a burden on rate and taxpayers costing them $100 million over three years. SB 365 was championed by Wolfeboro’s own Jeb Bradley and would give a three year subsidy to six biomass plants in New Hampshire, including Pinetree Power in Tamworth. SB466 would increase the net-metering cap from one megawatt to five megawatts. The energy bills have garnered the most attention, with dozens of farmers, loggers and environmentalists protesting in front of the statehouse and signing petitions urging lawmakers to overturn the veto. Senators voted 21-3 easily getting the two thirds majority needed to overturn the vetoes. However in the house SB365 squeaked by passing by a single vote with a total vote of 226-113 exactly two-thirds of the majority. SB 446 did not pass, though it received a majority of 213 to 128, that was not enough to meet the two-thirds requirement in order to override a veto. When he originally vetoed the bills the Governor said that the two bills would cost ratepayers approximately $100 million combined over the next three years in higher electricity costs, placing a burden on the elderly, those on fixed incomes, and on businesses. Sununu said SB 365 would not guarantee the solvency of the six biomass plants in the state and would only generate 3.5% impact on the revenue of wood suppliers of those facilities. He said SB 446 would just be a handout to large-scale solar energy developers.